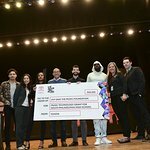 Grammy winner John Mayer & platinum artist Jordin Sparks will duet on March 26, 2009, when Carnival Cruise Lines and Mayercraft Carrier 2 present One Splendid Evening, a special concert event to benefit the VH1 Save The Music Foundation. Proceeds will help restore instrumental music education in America’s public schools and raise awareness about the importance of music as part of a child’s complete education. One Splendid Evening will be held on board the new Carnival Splendor, Carnival’s largest and most innovative ship, while the vessel is docked at the Port of San Pedro in Los Angeles. The evening will include performances by Gavin Rossdale, Sara Bareilles, Erin McCarley, O.A.R., Guster and DJ Logic, as well as a meet and greet with all the artists. Guests will enjoy dinner, an open bar and additional live entertainment throughout the ship. The next day, the ship sets sail on a special four-day music cruise – the “Mayercraft Carrier 2: Even Crafter” voyage. One Splendid Evening will give guests an opportunity to explore the $640 million Carnival Splendor, the largest “Fun Ship” ever based year-round in Southern California. The ship can accommodate more than 3,000 passengers and features a luxurious 21,000-square-foot spa, four swimming pools, a 270-square-foot outdoor movie screen and 22 bars and lounges. Atlanta-based Sixthman will produce both the dockside One Splendid Evening and the fully chartered Mayercraft Carrier 2: Even Craftier. 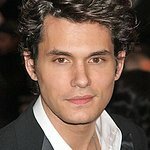 The second annual music cruise, hosted by John Mayer, will sail March 27-31, 2009 from Los Angeles to Cabo San Lucas, Mexico. While onboard, music fans will enjoy concert performances by John Mayer, O.A.R., Guster and over a dozen other bands for a music festival at sea. For more information, visit www.mayercraftcarrier.com. Ticket prices range from $150 to $1,000. The One Splendid Evening website is now live (www.onesplendidevening.com), please visit for more information or to purchase tickets.